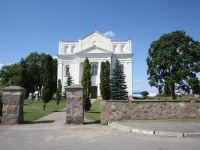 You visit the most significant cult sights of the West: A Troitsk church in the settlement of Gervyaty which is called «small Switzerland» and «the Belarusian Notre Dame», the church of the Mother of God of Ruzhantsova more than once destroyed and restored almost from scratch, St. Arkhistratiga Mikhail's church. All of them personify the most refined architectural styles of various eras. Majestic temples, great people, the fine nature – all this is collected for you in one travel. Michal Klefonas Oginsky is a composer, the poet, the politician. The author of a world famous polonaise "Farewell to Rodina" and music of the Polish anthem "Still Poland did not die". The hospitable family of Michal Kleofas is always glad to guests in the estate. As well as several centuries ago the shows are run here, the batleechny theater holds the performances, the beginning poets give the verses on court of the public. Read author's works and the known meters of poetry here. In 400 years of existence the building managed to serve both Calvinists, and Catholics, and Orthodox Christians, and atheists. 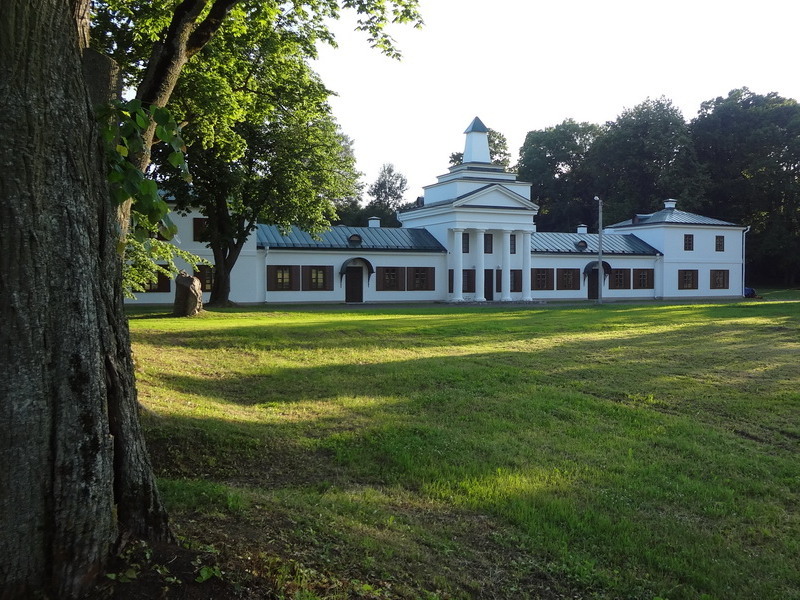 However and today has glory of the former Kalvinsky Collecting. To your attention unusual monument of architecture of the period Renaissance. In it severe simplicity and solidity, eagerness to fight and rhythmical scenery is combined. Very effective shape of a church, certainly, makes an impression. Asymmetric and graceful – it is not similar to one other temple. Graceful and elegant embodiment of modernist style. Let's glance inside - very uncommon fresco plots will not leave you indifferent. 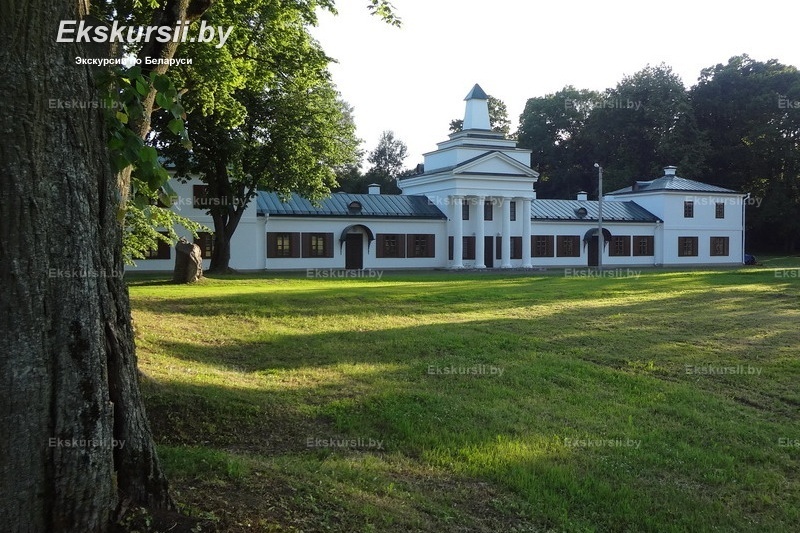 Defense of the Yasnogorsky monastery in Chenstokhov in 1655 during invasion of Swedes on the territory of the Polish-Lithuanian Commonwealth and "A miracle over Vistula" from the Soviet-Polish war of 1919-1921. And whether you where the armistice agreement between Germany and then already Soviet Russia was signed know? Welcome to Sola. 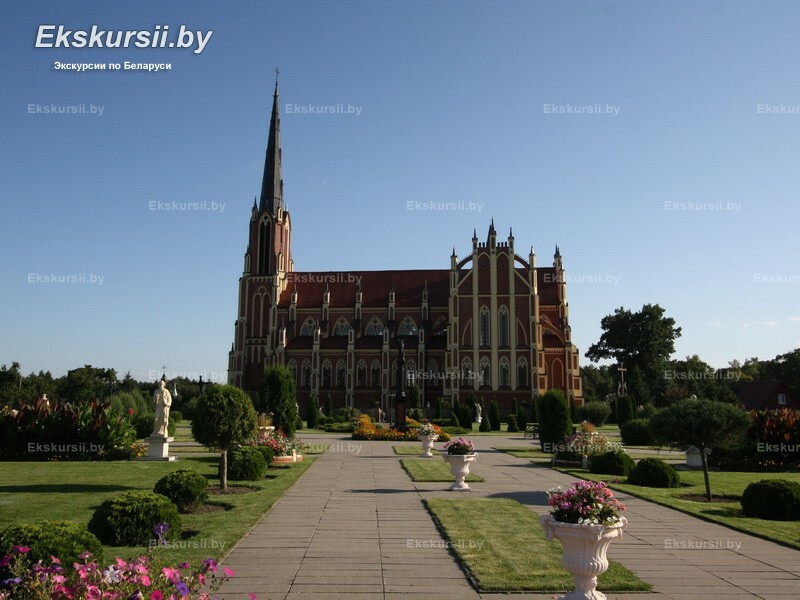 Exactly here, in Ostrovtsa, in 1474 for the first time, in the territory of modern Belarus, Dominican monks appeared. 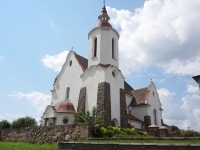 Cosmas and Domian's church was built in a complex with the Dominican monastery. What way did there pass the temple and monks for 6 centuries of existence? About this and many other you learn at an excursion. 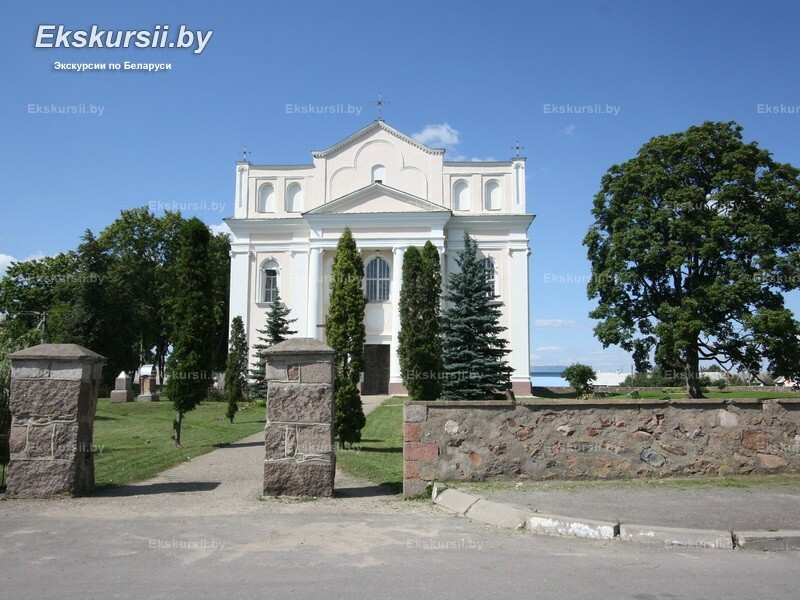 On one of the remained islands of the Lithuanian population in Belarus, one of the highest churches in the country strikes guests. The architectural masterpiece in neogothic style reminds the temple Notre Dame de Paris. The marvelous landscape emphasizes and supplements its shape. In interiors of the sustained style the 100-year body sounds. 11-April-2019 Работа экскурсовода на самом высоком уровне. Это огромная удача - познакомиться с лучшим экскурсоводом нашей страны.Нашла в интернете данные о нем: Варавва Анатолий Георгиевич. Заинтересовалась его путеводителями. Огромное везение, что он вел экскурсию. Водитель профессионал самого высокого уровня. 13-October-2018 Экскурсовод потрясающий!!!! Очень интересно и занимательно все рассказывал! Понравилось на все 100%! большое спасибо! 09-August-2018 Нам повезло, с нами был экскурсовод Павел. Так много интересного мы услышали, экскурсия прошла на одном дыхании. Я обратила внимание, что у него в группе люди слушают его открыв рот и боятся отстать,чтобы не пропустить что-то интерсное. 16-June-2018 Очень хороший экскурсовод. понравилось, что на протяжении пути рассказывал о тех местах, которые мы проезжали.